Community housing provides longer term rental homes to people who generally require support and are living on very low incomes. Affordable housing offers rental accommodation for people on low to moderate incomes who may find it difficult to afford housing in the private rental market. We believe everyone has the right to live in a home they can afford in a place they choose. 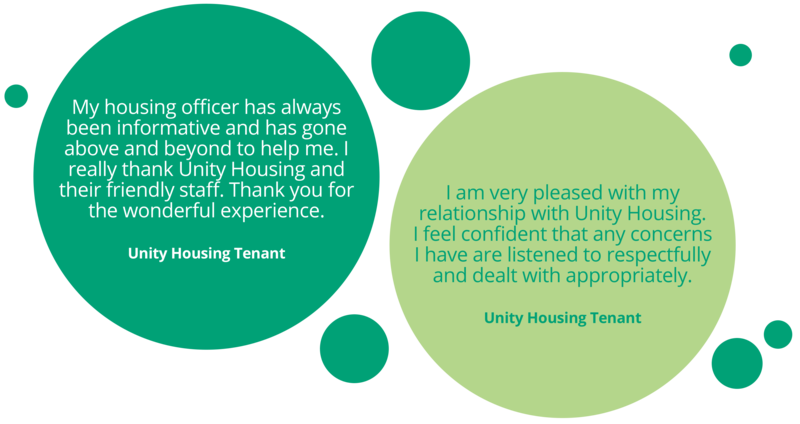 Unity provides safe, secure and sustainable accommodation for people on low incomes. This ranges from people who simply need affordable housing to people who are vulnerable and may be at risk of or experiencing homelessness and people living with a disability. For extreme emergencies contact Police on 000 or 131 444. You can also contact a specialist homelessness or domestic and family violence service in your area (Monday to Friday during office hours). Unity is not a crisis housing provider. These services will assess your situation and work with you to find the best option to suit your needs. Eligibility for crisis accommodation for you and your family will depend on your circumstances. Crisis responses provide assistance for your immediate safety and security and are confidential (although guidelines allow for information sharing without your consent to keep you, your children and others safe where there is a legitimate reason). A safe and secure accommodation entry point for people who are at risk of homelessness because of a range of factors including family breakdown, unemployment, domestic violence, drug and alcohol misuse, low income and social isolation. Click here if you are looking for boarding house accommodation. Longer-term rental options for people who are generally working with a support agency, which are designed to cater for the needs of people on very low to moderate incomes who may be experiencing rental stress in or barriers to the private market. Click here if you are interested in community housing. Rental accommodation for people on low to moderate incomes who struggle to afford housing in the private rental market. Affordable housing aims to relieve rental stress and support households that have the potential for income growth or home ownership in the medium-term. Click here if you are interested in affordable housing. Apartments in Adelaide’s East End for students looking for convenient and safe accommodation. Click here for more information. 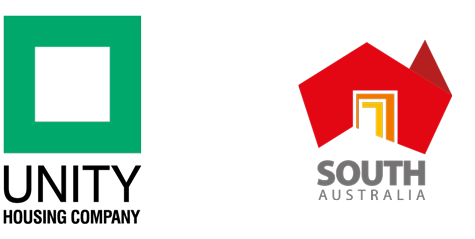 We provide affordable, safe and secure homes for South Australians on low incomes. We build partnerships to create tenancies that promote viable and sustainable communities. Unity is a recognised leader in the provision, management and ownership of community housing, boarding houses and affordable housing. Unity Housing only accepts referrals to community housing from specific agencies. From the appeals process to saving energy at home, we have useful documents and downloadable brochures. Read the latest news and find events happening around your area. Join in and be apart of your local community. The State Government is committed to improving the quality of housing for Housing SA tenants by replacing old homes with new homes, creating better quality social housing, increasing housing choices and affordability and enhancing the liveability of South Australia to create safe communities and healthy neighbourhoods.